(Lafayette, LA) – Louisiana Tech University has selected Paragon Sports Constructors to renovate the running track surface at the Jim Mize Track and Field Complex. The new surface will feature Paragon Track Surfaces PTS 5000 full-pour re-topping product. The PTS full-pour cap features CONICA polyurethane material that is embedded with rubber granule. Since 1977, CONICA has been developing, manufacturing and supplying high-quality, reliable products to produce sports and recreational area flooring used in all climate zones around the world. They provide a full-range of IAAF certified track surfaces that are featured in many Class 1 and Class 2 competition track facilities around the world. The project will require removal of portions of the existing track surface where separation from the asphalt has occurred. Paragon Sports Constructors will remove and replace these areas then install a five-millimeter PTS full-pour cap across the running surface and field events. Work will commence the first of February and is scheduled for completion later that month in time for the outdoor track and field season. 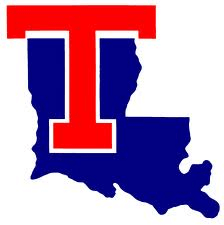 Louisiana Tech competes in Conference USA and will open their season on March 15 and 16 at the Texas Southern Invitational in Houston. Their first home meet is the Jim Mize Invitational on April 5th and 6th. The facility is named after long-time LA Tech coach and Lousiana native, Jim Mize. Mize attended Tech as an athlete from Fair Park High School in Shreveport, LA and later came back to the university as a coach. He coached football alongside Joe Aillet and Maxie Lambright for twenty-four years. During his time at Tech, Mize also built a consistent track program; as a track coach he won conference championships in 1961, 1973 and 1974. Paragon Sports Constructors is a turn-key contractor of natural and synthetic turf sports fields and running tracks based in Fort Worth, Texas. With over 30 years of sports construction experience they are one of the premier sports field and running track contractors in the South Central United States. Paragon Sports Constructors is a member of the American Sports Builders Association who remains focused on quality construction practices, choosing to partner with top brand name manufacturers of synthetic turf and track surfacing to provide clients a consistently high-quality project from planning to first use and beyond. For more information on Paragon Sports Constructors please visit www.paragon-sports.com or follow them on Twitter @ParagonSportsCo. Paragon Track Surfaces (PTS) is the exclusive synthetic running track brand of Paragon Sports Constructors. PTS surfaces feature CONICA polyurethane materials installed by Paragon Sports Constructors dedicated track surfacing crews. Paragon Track Surfaces’ product range offers seven key systems designed to meet a facility’s needs, budget and quality standards. Visit www.paragontracksurfaces.com for more information on available systems.